WordPress is probably one of the best web creation tools you could use to build your own website with. Below are some helpful free WordPress training videos to help you set up your WordPress website. To get started using WordPress you need a domain name and hosting. This WordPress website is hosted with Green Geeks and I would like to offer you a special offer where you can save 20% on one years hosting and get a free domain using them. Great once you have signed up to the hosting and got your free domain you will need to download and install WordPress onto your hosting account. This is not hard and can be done in a few minutes. Follow our step-by-step guide on how to make your own website using a hosting company. 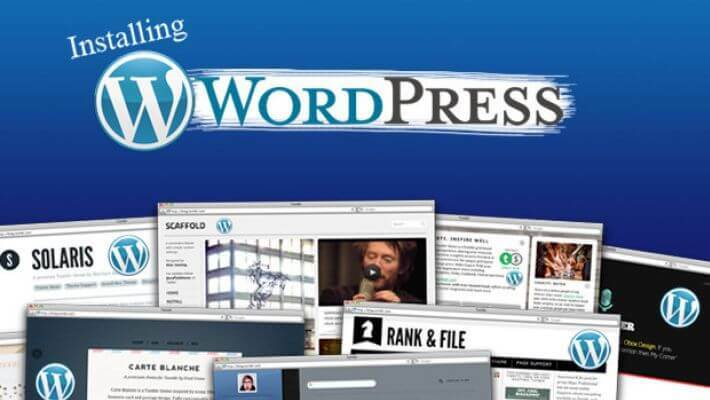 Once you have downloaded and installed WordPress onto your hosting account you will want to begin building your website. But before you can create your own website or create a blog you will have to set up your site. Free WordPress Training Video 2 – We show you how to change your general setting and login to your new site. You may have to update the version of WordPress. Then we will show you how to confirm your site title and tag line, change your email, how to change the date format. Free WordPress Training Video 3 – People will be able to post comments on your new site. This video shows you how to stop comments, you may want to stop people from commenting as you could get lots of spam comments. To stop people posting comments you use the discussion setting. Free WordPress Training Video 4 – Permalinks settings by default have letters and numbers, this is not good for your on-page SEO. We like to use the custom structure this will then use the title of the post as the actual URL. This is great for search engines. Our free training video shows you how to set up your permalink structure. Free WordPress Training Video 5 – This video is about how to install plugins. Plugins are great they can do loads of different things on your site like making your site more secure, load faster, to helping your site get found better in the search engines etc. The best way to find new plugins is to click on plugin in your dashboard. Find out more about how to install and activate plugins on our free WordPress training videos. Free WordPress Training Video 6 – Keeping your site safe and secure is important. Here we have a nice security plugin for you to use. Watch the video to find out more and keep your site or blog safe. Free WordPress Training Video 7 – When you make your own website with WordPress you will have to login into the back-end of your dashboard using a username and password. You should always use a strong password, create a strong password by using a password generator. See how it all works on this video. Free WordPress Training Video 8 – When you build a website with WordPress you will have to learn how to add a new page or add a new post to your blog. This free training video shows you how to add a new page or new post to your site. Free WordPress Training Video 9 – Using the editor you can do all sorts to your new page. Above where we type in our content there are all sorts of buttons and things. You can change text colour, text size, highlight text, add images and lots more. Watch the video and get lots of tips on how to edit your page or post. Free WordPress Training Video 10 – In this video you will learn how to add hyperlinks on your page or post. You can link to a page on your site. You can link to another website. You can make the link open in a new window. Learn more about hyperlinks watch the video. Free WordPress Training Video 11 – Its quite easy to upload pictures or images to your new site. When you are in the editor click the Add Media button and upload a image or picture from your computer. You can have the picture on the left, right or center. You can edit the picture from your editor. Watch our free training video on how to upload pictures to your WordPress pages or posts to learn more. Free WordPress Training Video 12 – People love videos. And when you make a website its a good idea to have videos on your blog or site. When you use WordPress you can post a video from YouTube on your site in seconds. Go to YouTube copy the video code and paste the code into your editor save and publish and your video will be live on your site. Watch the video and see how easy it is to post a video on your new website. Free WordPress Training Video 13 – In this video you will learn how to modify the look of your sidebar. The sidebar is the stuff you see on the right hand side of the page. Things like the comments, meta data, recent posts etc. You can even add some text or maybe a advert. This video shows you how to edit and update the sidebar area of your site. Free WordPress Training Video 14 – When you are building a blog using the categories will help you keep your site in some sort of order. You can create different categories for your posts. This way all your posts for a certain category will be in one place. This makes it easier for visitors and search engines to find more stuff. Its important to do this before making a post. It helps with your site navigation, watch the video to find out how to set up your categories. Free WordPress Training Video 15 – Did you know you can have a blogroll on your site. A blogroll is just a place that you can add some links. It might be for other sites with the same interest as your site. It could be your friends site or any site you like. Watch the video to find out how to add a blogroll to your site. Free WordPress Training Video 16 – This free video shows you how to add a new user to your site. You may want to add someone that will help you with your site, they could be added as admin or you may be looking to add a editor or a contributor to your site. Free WordPress Training Video 17 – Here we show you how to change your WordPress theme. A theme is a template it changes the look of your site. WordPress has lots of free themes you can use. You can also purchase themes. New themes are being designed all the time, making WordPress the ideal way to make a website. Free WordPress Training Video 18 – Navigation is important. You need a way for visitors to find your main pages. Here we show you how to create a menu and add your page links to the menu. Its important to have a well set-up WordPress website or Blog and our free WordPress website training videos will guide you on the correct way to set-up your site or blog. If you have been thinking about building your own website and not sure where to start you need to read our article on how to start a website if you do not have the time to make your own website then why not contact us to make your website.